It is now official. 1995 World Footballer of the Year, George Opong Weah has been declared winner of the just concluded Liberia’s presidential election. It will be recalled that Weah topped the first round of voting earlier in October but did not secure the 50 per cent needed to win outright majority, thus necessitating a runoff. 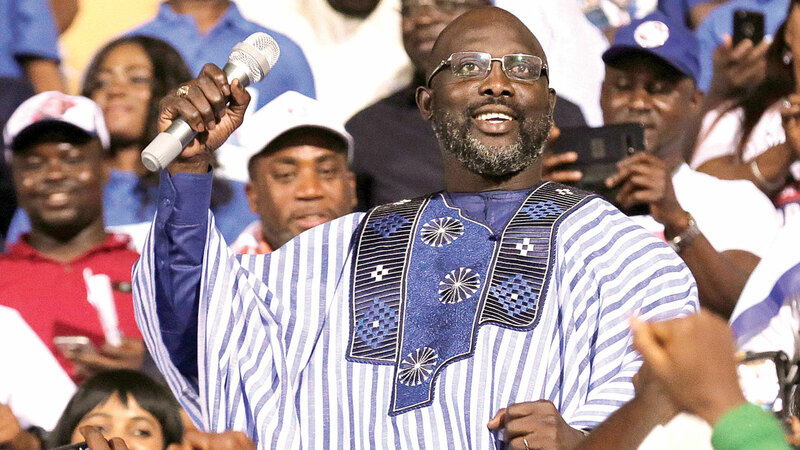 According to the chairperson of Liberia’s National Electoral Commission, Jerome Kokoya, Weah won 61.5 per cent of the total vote as well as 14 out of the country’s 15 counties. After processing 98.1 per cent of results from polling units, Weah got 720,033 votes (61.5 per cent). With this development, Weah, a serving senator from the Congress for Democratic Change (CDC) whose main opponent in the election was 73 year-old Vice President Joseph Boakai of the ruling Unity Party, is set to replace President Ellen Johnson-Sirleaf, who is stepping down after the constitutionally mandated two terms of 12 years. This is the nation’s first democratic transition since 1944 and Weah is poised to be the 25th President of the country. Weah’s victory was a product of multifaceted intrigues. His running mate was Senator Jewel Howard-Taylor who is the ex-wife of former President Charles Taylor, who sparked Liberia’s civil war in 1989 and is currently serving a 50-year prison sentence in Britain for his role in war crimes in Sierra Leone. Despite his incarceration in far-away Britain, Taylor is reportedly still having huge supporters in Liberia and this is partly responsible for Weah’s winning of key counties in the first round of voting. Aside the Taylor connection, Weah’s popularity with the youth was also a strong factor in his electoral victory. 70 per cent of Liberian population is under 35 and they formed the army of his fanatical supporters. Weah, 51, has a lot of support among the youth who strongly believe in him and his change agenda. Being a former international footballer who has committed a vast proportion of his personal fortune to the development of his nation and her extremely impoverished citizenry, Weah’s acceptance among the youth is simply electrifying. The spontaneous euphoria that greeted his announcement as President-elect is a true demonstration of his widespread acceptance by his countrymen. The country’s battered economy equally made Weah’s change campaign an exciting proposition. Liberia is one of the world’s poorest countries and Weah had vigorously run his campaign on the premise of engendering accelerated economic growth. 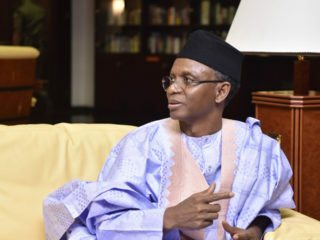 And since he is widely seen as an anti establishment candidate, many believe that he is the right man to turn things around for the poor West African country that had been variously raped by greedy and corrupt leadership. Equally, Weah had become more mature politically since he was beaten by Johnson in the 2006 presidential runoff. 12 years after, Weah had learnt the rope and this is quite evident in the various alliances he was able to garner in the latest election. He has become more politically educated to make calculated decisions that have significant electoral consequences. It is clearly a reflection of Weah’s political development over the years that he was able to beat the vastly experienced Boakai and the ruling party. Now that Weah has been declared victorious, the fear of many analysts is whether his main opponent, Boakai, and the ruling Unity Party will actually accept the electoral verdict and give peace a chance. Outgoing Johnson-Sirleaf’s tenure as Liberia’s president ended decades of bitter conflict and civil war in the country and it is hoped that the relative peace that has been achieved during her reign would not be carelessly filtered away through selfish ambition and unpatriotic tendencies. 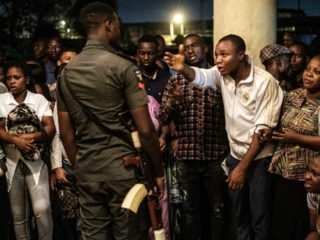 If there is anything that Liberia can really do without now, it is another round of needless acrimonious actions that could draw the nation back into avoidable crisis. It is hoped that major stakeholders in the country as well as the international community will mutually work together to ensure that the nations interest is well safe guarded far above personal concerns. This is why the United Nations’ recent deployment of former President Olusegun Obasanjo to help in the county’s transition process is a welcome development. Now, what should be considered paramount is what the future holds for Liberia in the immediate post Johnson-Sirleaf era. Liberia had passed through so much trouble and crisis that it cannot afford to slide into anarchy once again. It will be recalled that the outbreak of Ebola virus in the West African country between 2014 and 2016 left her in a rather devastating state as it accounted for the death of thousands of both young and old people. 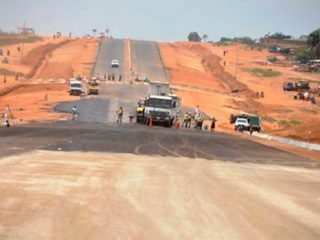 Apart from the Ebola desolation, the country’s economy is almost in ruin, no thanks to years of highly destructive civil war. Being a profoundly bi- product economy, the drop in commodity prices for rubber and iron ore which are her main export commodities, has sharply affected the country’s economy. Despite attaining much peace in her twelve years in the saddle, the country’s economy hasn’t really fared better under incumbent Johnson- Sirleaf. The county has actually made slow progress on jobs, unemployment, education, rural development, healthcare and attracting foreign direct investment. Equally, infrastructure across the country remains quite in a deplorable state. Ogunbiyi is with the Lagos State government.